You are invited to the last of the three concerts dedicated to the Jewish history – the legacy of the Jews on Broadway! 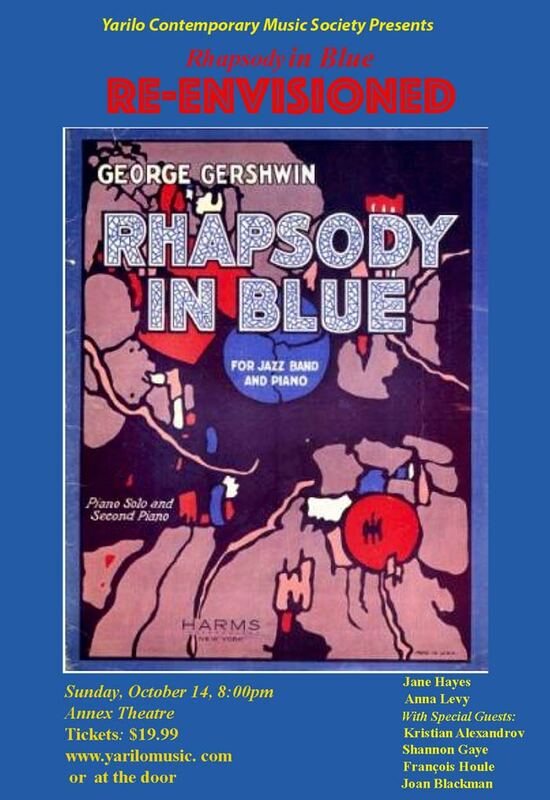 Three pianos will come together on stage to present a new vision of the American Classic: George Gershwin’s Rhapsody in Blue. Classical and Jazz will be combined in the hands of the Yarilo Ensemble’s Jane Hayes and Anna Levy with guests- jazz pianist Kristian Alexandrov and the versatile clarinetist François Houle. Also in the program – the trio for violin, clarinet and piano by Paul Schoenfield with guest violinist Joan Blackman.